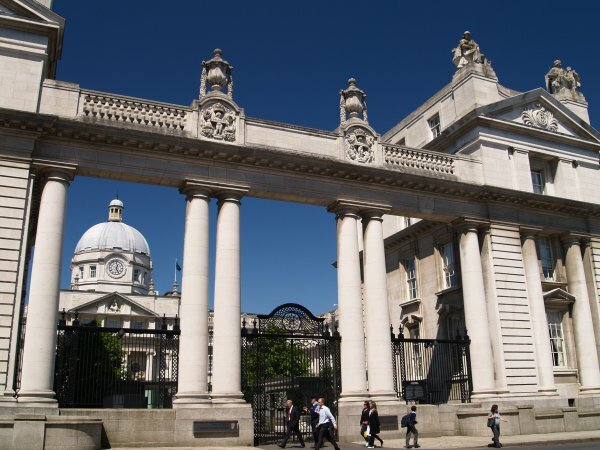 Roinn An Taoisigh - Department of the Taoiseach - Department of the Prime Minister! 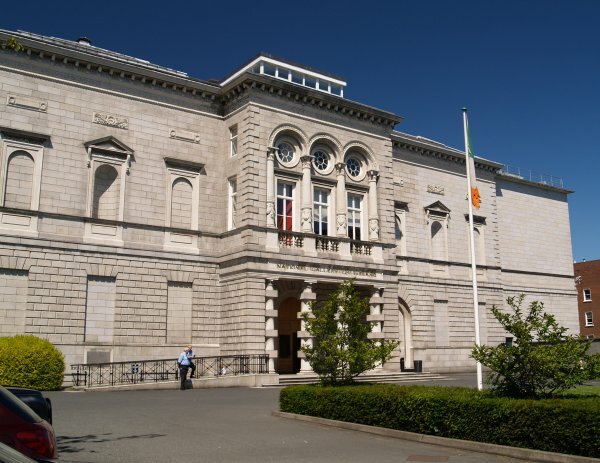 In Merrion Street Upper is the Department of the Taoiseach which lies between the National Gallery and the National Natural history Museum, here viewed from Merrion Street Upper. 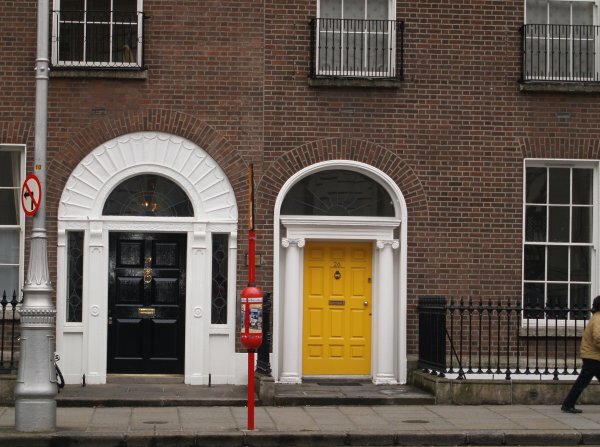 Some of the splendid Georgian doors of the 'town houses' in Merrion Street. 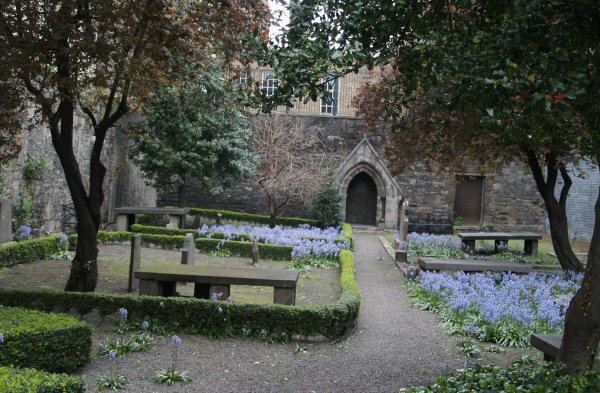 Just round the corner in Merrion Row is the Huguenot Cemetery of 1693. 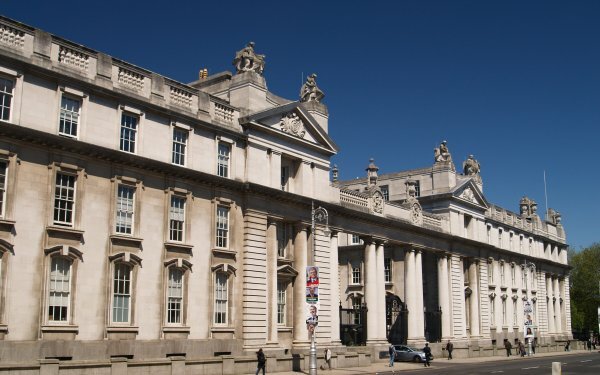 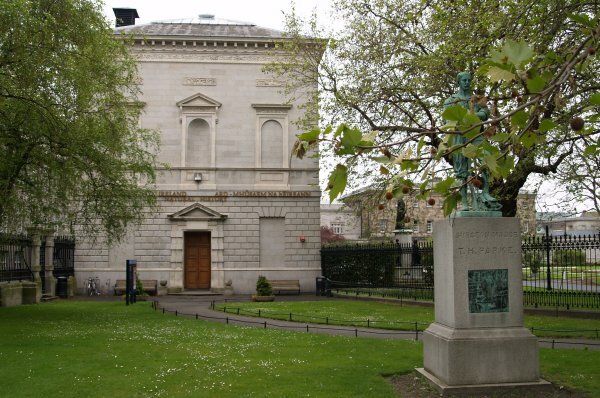 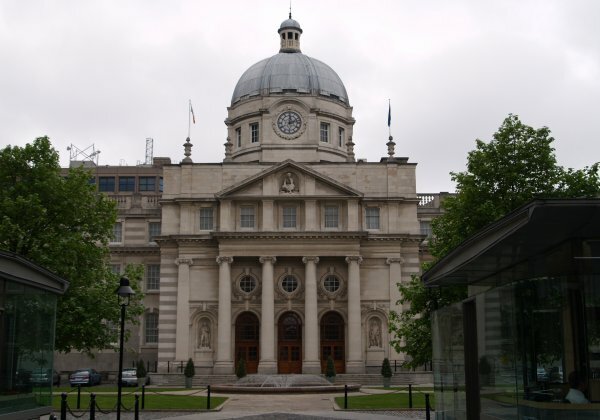 The fine Government Buildings of 1922 in Merrion Street Upper, they were the last to be constructed under British Rule and were originally intended for the Science Faculty of UCD (University College Dublin). 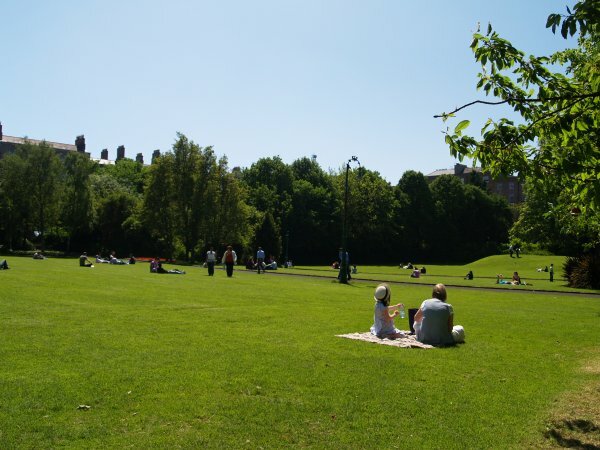 Merrion Square 'park' of 1752. 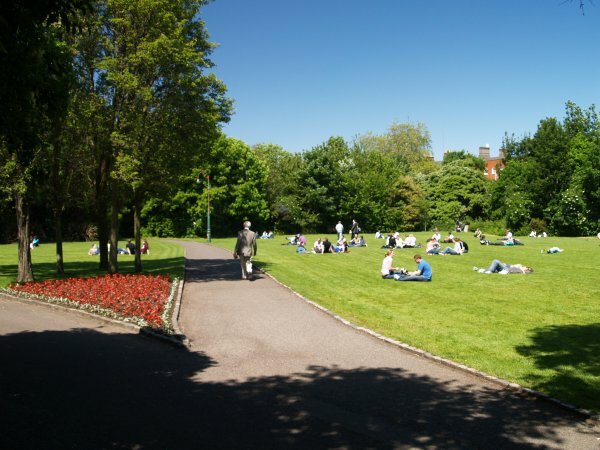 The Oscar Wilde Memorial by the sculptor Danny Osborne in Merrion Square. 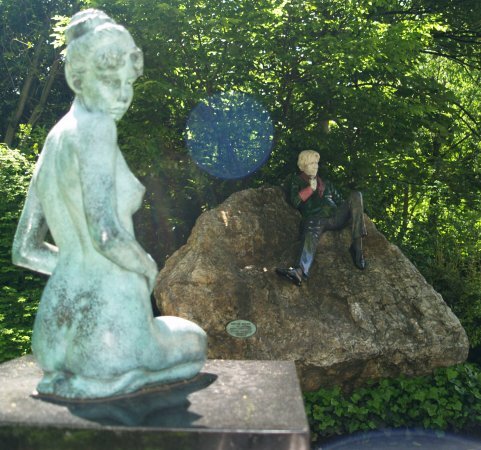 Is the statue of the naked woman with her breasts pointing towards Oscar Wilde (1854-1900) but her face pointing away in disdain, deliberate? 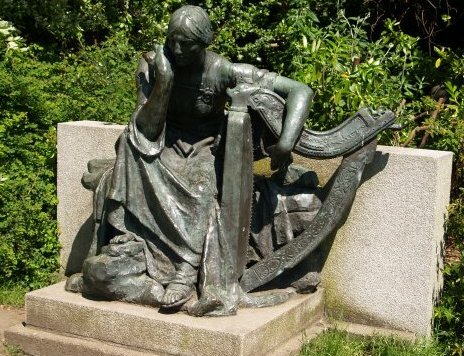 Can anyone tell me what this sculpture is? 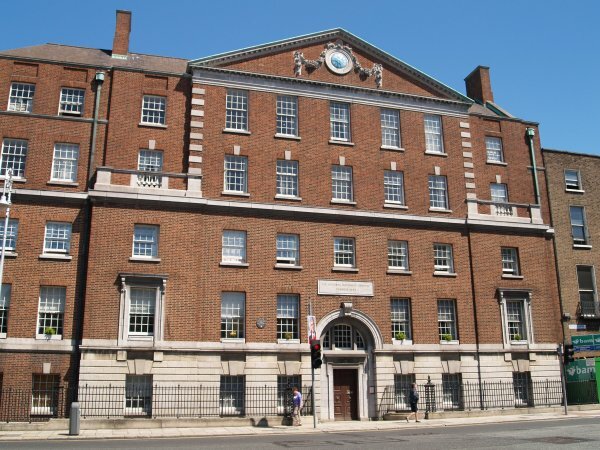 The very fine stone and brick building of the National Maternity Hospital, founded 1894, location?